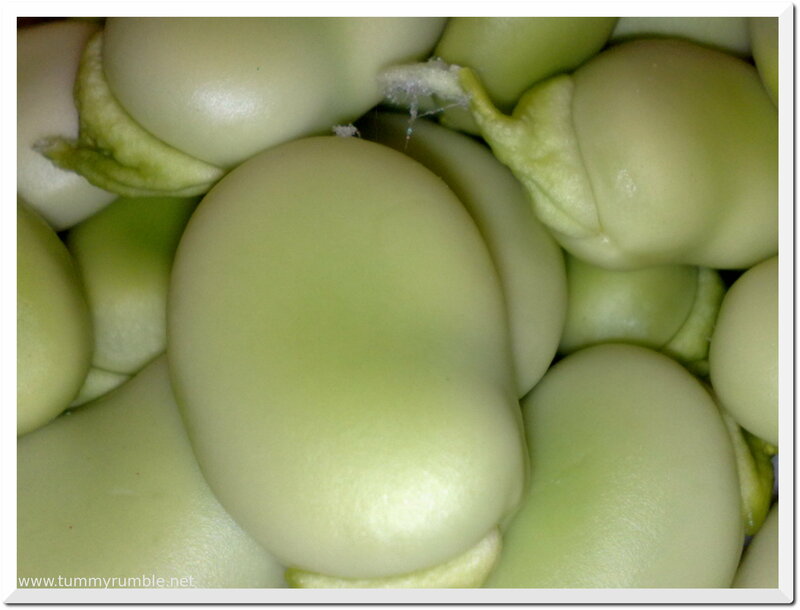 You know, being of Middle Eastern background I am very familiar with Broad Beans, but of the dried and long cooked variety, so it’s been a revelation to come across fresh Broad Beans. In Egypt, Falafel are made with Broad Beans instead of Chickpeas, and are also the heart of the traditional breakfast of Ful Medames, long cooked mushed beans topped with oil, garlic, cumin and lemon and scooped up with fresh bread…yum! So yesterday I was ecstatic to see that they are back in season and $5.95/Kg! I bought a big bag full, and came home and meditated on what I should do with them. A salad? Yeah, but I didn’t feel like a salad for dinner, so I googled “Broad Beans + Asparagus recipe” and found a lovely recipe for a Green Risotto. It’s a lovely simple risotto recipe, with the addition of rocket, spinach and parsley to give it the beautiful green colour, and some fresh beans and asparagus for crunch. I didn’t have any white wine, or parmesan for that matter! I also used frozen spinach, rather than fresh. 1. Wash the spinach in cold water and briefly cook in a large sauté pan until just wilted. Tip into the food processor, add the rocket and flat leaf parsley leaves. Pulse until roughly chopped, set aside. 2. Bring the stock to the boil in a saucepan and reduce the heat to a gentle simmer. Heat the butter and olive oil in a large, deep sauté pan over a medium heat. Add the shallots and garlic and cook for 2-3 minutes. Add the rice, stir to coat well and cook for another minute until the rice turns translucent. 3. Add the white wine and, stirring constantly, bubble over a medium heat until almost all of the liquid has been absorbed. Lower the heat slightly and add the hot stock a ladle full at a time, stirring several times after each addition. Wait until the stock has been absorbed before adding more. Continue like this until three quarters of the stock has been added to the rice. 4. Meanwhile, trim the asparagus and cut into 2cm lengths. Blanch the asparagus and broad beans in boiling salted water for 2 minutes and drain. 5. 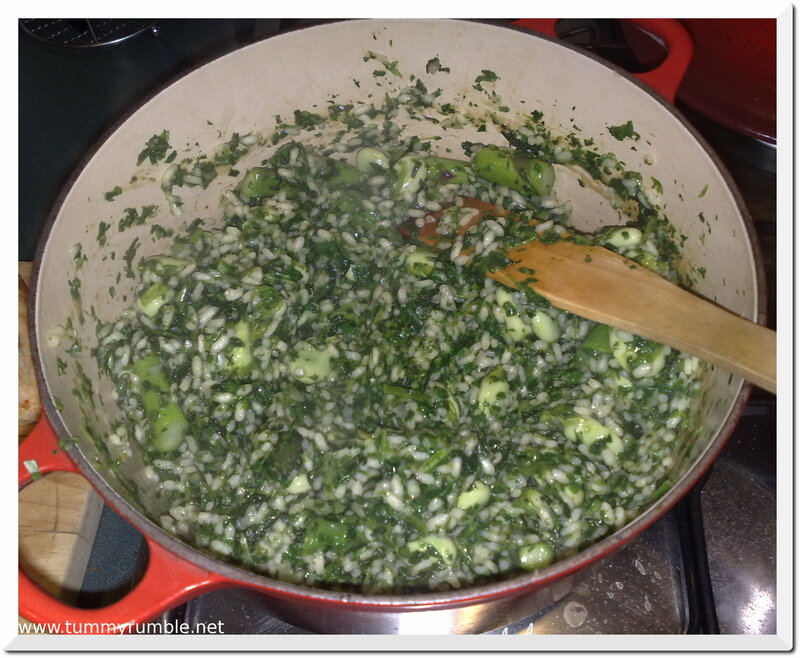 Add the spinach mixture, asparagus and broad beans to the risotto and continue to cook, adding the last of the hot stock until risotto is creamy and the rice has a slight ‘bite’. Stir in the freshly grated parmesan, season. 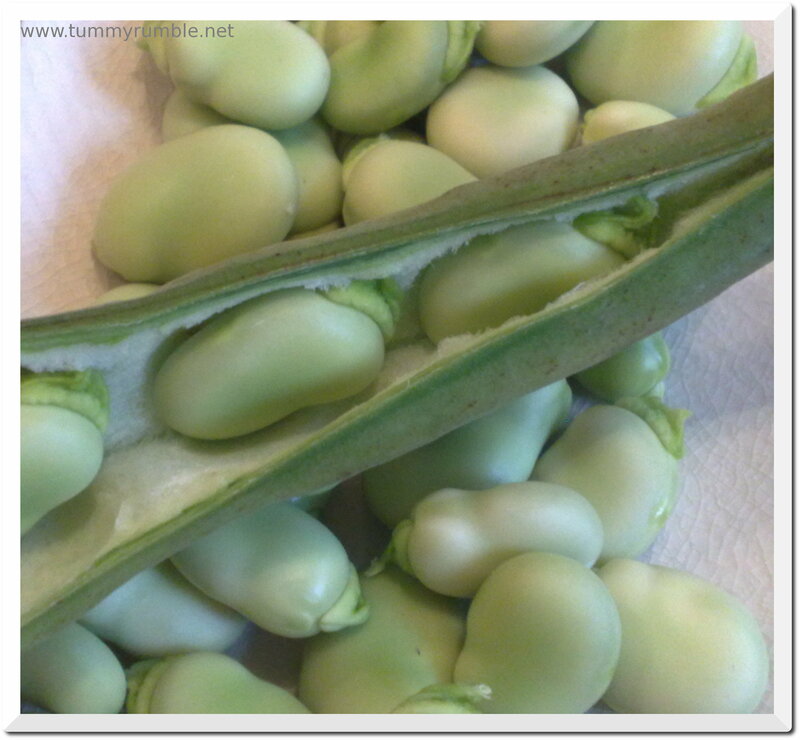 I am obsessed with broad beans at the moment and scouring my books for more and more things to do with them. This will be my next effort – thanks!